My heartful of thanks to Jai & Bee for hosting this event, for it does bring out all the creativity in me! All those hours spent in brainstorming, all the exercises I have to do kneeling down, arching & stretching & hold still just to have the camera & the object aligned at a certain angle, downloading the 100s of pictures (90% of which needed to be deleted), & then the final stage of making a decision when I drive every family member crazzzzzyyy, – are all WORTH it. For at last I did feel good:-). I will probably post a few examples of The Experiments with RED sometimes later. I had to make a tough decision between 2 of my favorite shots. The other one was was a winner for me but I chose this over the other, becoz the reason I liked the other one did not count in too much into the relevance of the theme. I might regret later…. But its done. It is a delight looking thru’ the gallery of pictures for the CLICK- seeing so many perspectives, so many ideas for one single theme…I see them again & again. All the pictures are an inspiration to me. Something else I have realized: Need to get a set up to take good photographs. Makeshift tables, papers, light, props & the temperamental weather – all of these turns the pleasure & excitement to frustration. Oops what a delightful shot…its awesome..
Really creative. This is one of the best vretive picture i have seen till now for red. tres pretty. thank you. i’m curious. which was the other one? WOW! i am kind of awe of it ..priceless and gorgeous .. This is sheer work of ART !!! BEAUTIFUL and grandeour !!! You awe me so often that I have almost started admiring you ! Will await the experiments with red post soon! Love the creativeness Soma… how did you the seed on the ring? I know u replaced the actual stone.. but how! So so very creative!! I am sure I will have to make a trip back to this post to congratulate you!! Superb!!! Very creative of you…Its worth your effort..
Hey did u remove the stone to put the aril! Very creative Soma, it is worth! I really go crazy too.. But my fav dig cam is down and i am using the old one… I am not sure if I can partici my fav event click! awesome snap soma! amazing idea…just how did you get the aril there? Wow wat a creativity Soma…Great u r!!! Lovely and Lovely.Love your creativity.dear.All the best. very clever and creative. You go girl! 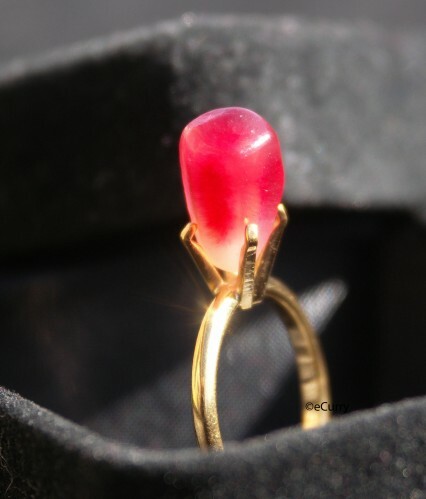 You have a ruby ring that can replenish itself very easily! 😀 No need to worry about lost rubies, price, nothing! I saw this at the CLICK gallery and have to tell you the idea and picture are superb. beautiful picture.. perfect.. can’t be any better than this. what an i d e a!! great! lovely shot! What a wonderful idea, and a beautiful photograph! Such a lovely tribute to the jewels of pomegranates! Wow Soma, great picture.. What a cute and innovative concept! Loved it! Beautiful ring indeed. Good luck. Looks awesome and such a creative idea….fantastic picture……looking forward to your post with the other pictures taken too ! wo ho ho hoh…..Thts height of creativity………cmmon honestly tell us how many hours of brainstorming led u to do this??? Marvelous click and this is making me to revoke my entry from Click Red….with such master pieces around, mediocre jobs shud be trashed….Jai bee are you listening????? Very original. Thanks for visiting my blog. What a lovely concept! Love the caption too. Breathtakingly beautiful! You’ve got wonderful imagination. Was looking at the pics after submitting my own for the event. Cudnt help going back to see more of your pic. Its Fantastic! This is an absolutely gorgeous shot. Very creative! You have a very nice blog, the recipes look yummy! It’s looking really beautiful and the photography also amazing.